Get striking results with our black walnut furniture and cedar furniture Walnut Grove collection! 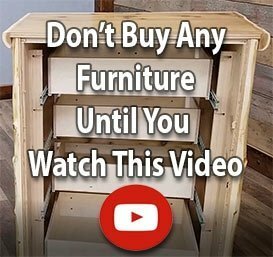 When you want striking results for your rustic decorating efforts, go with a high contrast wood furniture look that’s sure to turn heads. 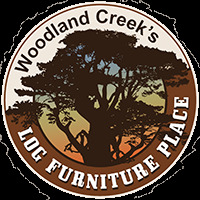 Woodland Creek’s handcrafted Walnut Grove beds, bedroom sets, dressers and more blend naturally seasoned black walnut with cedar to make your reclaimed wood furniture dreams come true. This rustic furniture collection is a feast for the eyes and soul. Clean peeled northern white cedar and dark walnut log furniture never looked so good. This rustic decor bedroom furniture collection fits exquisitely into modern country decorating design plans. Set off the ground on sturdy legs, it’s easy to clean around and under. Ask about our shiny “liquid glass” finish to enhance dark tones further – for an extra dose of country decor glamour.